This is one of our favorite Treat Meals! 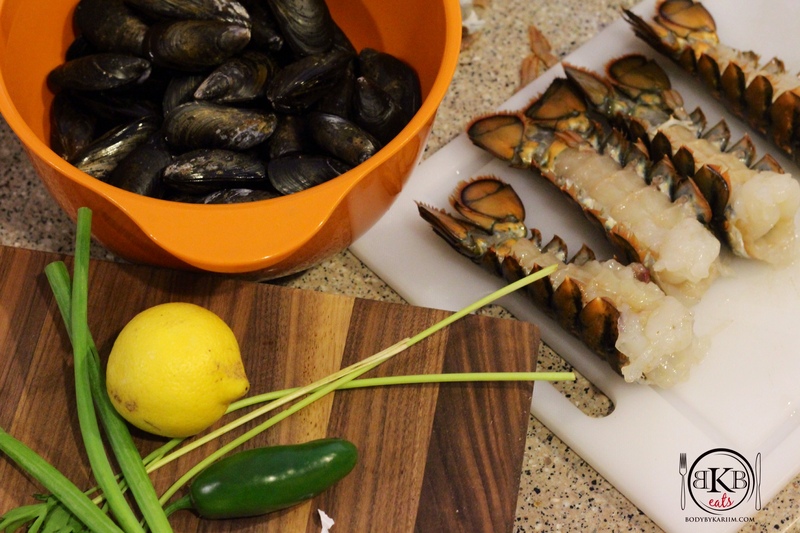 Baking a lobster tail is one of the easiest ways to cook them. A 4-6 oz lobster tail has around 30 grams of protein. Paired with steamed vegetables or a dinner salad, makes a great low- calorie meal. The serving size is based on the amount of people you are serving. **Preheat oven to 450 degrees. Repeat the same cut on the other side of the lobster tail. Cut the shell across the middle of the base of the tail. Grab the top of the shell & peel back. 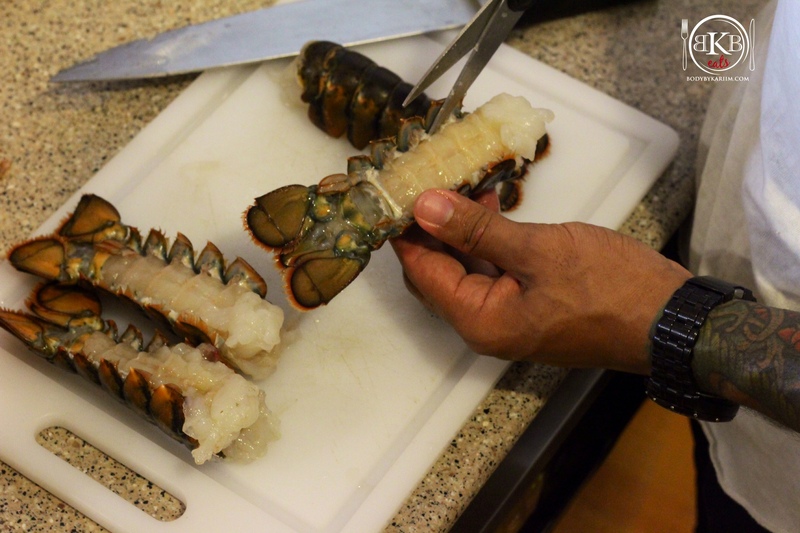 With a knife, cut around the lobster meat. This will make it easy to remove the meat from the shell once the lobster is done. Melt butter (in microwave or in small pot on the stove). Once melted, pour in a small bowl, add garlic powder and paprika- stir until blended. Drizzle butter mixture over lobster tails. 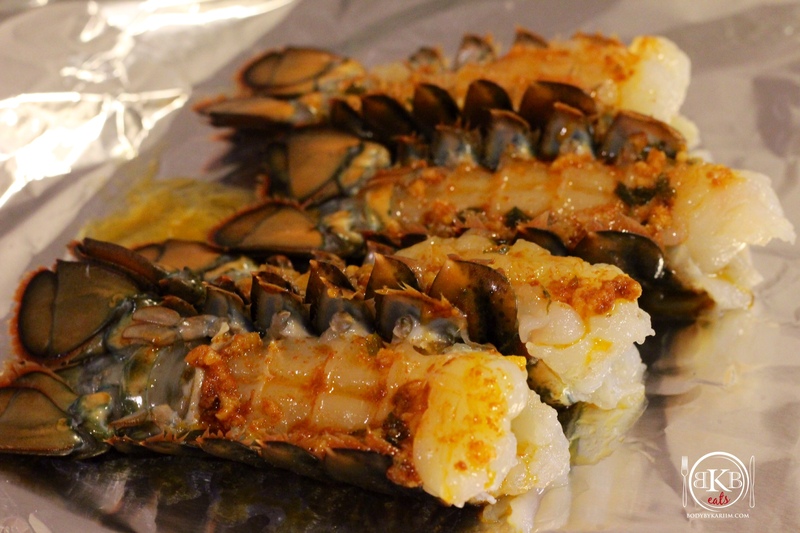 Place lobster tails on foil. Fold ends of foil so lobster tails are sealed in. 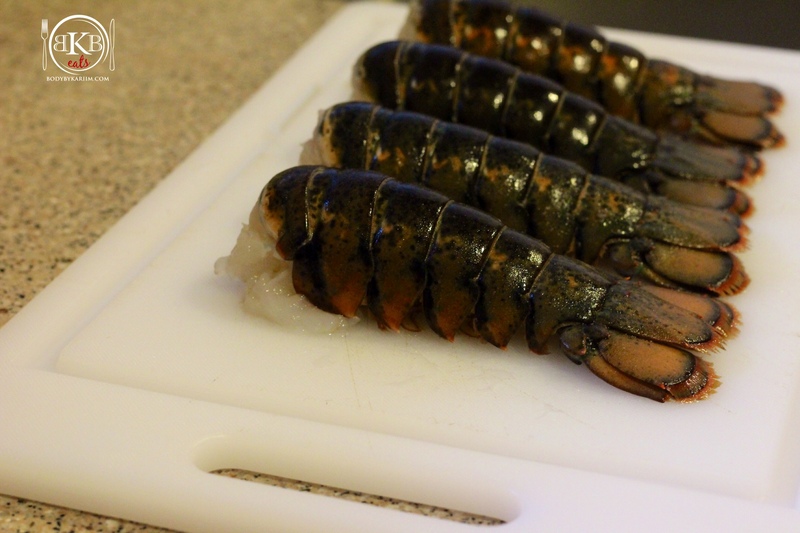 Bake lobster tails for 18 – 20 mins. Once cooked , unwrap, squeeze fresh lemon juice on top & enjoy! Thanks for such a detailed Demo.